What is the true essence of historical, first-century Christianity? What did our Lord Jesus actually teach His disciples? Is it anything close to what developed in later centuries? It is not. It is not close at all. Picture a small band of real men roaming the countryside like homeless artisans working on a new craft, but a craft so new and so unprecedented that its practitioners did not understand what it was or what they were actually attempting to put together. They are obscure. They blend in according to appearance and dialect, words and movement, and appear as just another group out of touch with the reality of the times. Judaism did not really exist as a unified religion. The land was inhabited by a splintered collection of various sects and beliefs based on the teachings of any number of prophets and rabbis, both present and ancient, and carried a tone of defeatist lethargy and a longing for what once was. Only what was had not been in many centuries. 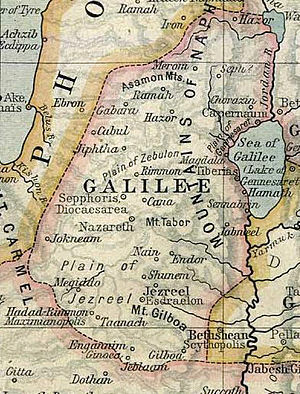 The glorious kingdom of Solomon was but a very distant memory that recalled not merely a tarnished legacy but the loss of something precious and unique. It was Solomon’s father David who had carved out and created a kingdom through ongoing wars, but personally lacked the opportunity to see it reach the heights of what this world sees as glory. Many Jews of the first century gloried in the great exploits of Joshua and King David, and longed for a return to those times when Hebrew men threw off the yokes of oppressors and ran off squatters and pretenders to the their holy land. Could this not happen yet again? Where were all the great warriors? The priests longed for another Moses. Many wished the powerful prophets such as Elijah, Elisha, Isaiah, and Jeremiah could return once again and right the nation’s course. But they knew in their hearts it was too late. There was hardly any kingdom left. Multiple generations of Hebrews had repeatedly and collectively sinned against God with impunity and those of the Lord’s time knew they deserved little. But they continued to yearn anyway. They pined away dreaming of the past as the hated Romans desecrated their lands and liberty. Could God ever give them another chance? This was the setting as the little-known Rabbi from Nazareth led His band of men from town to town and throughout the countryside of Galilee. The people wanted real life again and He was fulfilling the early stages of a plan to give them just that, though a very powerful enemy sat squarely on the land like a heavy, dark cloud of oppression. It was not the Romans. It was religion—dogmatic, heavy-handed, dead, insipid, joy-killing religion. The land had become infused with it over time ever since the last prophetic word was heard over four hundred years before. The priests had achieved their dream of taking over, and created a hybrid strain based on the Mosaic code that had more in common with Communism than the true teachings of the Torah. They had created a strange hard-nosed casuistic conduct code spelling out everything imaginable that a person might be involved with in life. There was an answer for everything and great force to make their congregants toe the mark and fulfill their duty. And it was sorry to the core. Their approach was entirely lifeless and void, and demanded regimented obedience and heavy fines for non-compliance. It caused great fear among the descendents of those great Israelites who had won their freedom from foreign dominance and slavery. Imagine those mighty ones who had fought for liberty now under the heavy boot of religion, and imagine that it all grew from within the nation by blood descendants. Imagine kings becoming paupers and those on top of the world becoming moles beneath it. This was Israel in 30 A.D. These were the times when the Messiah arrived on the scene. Posted on January 1, 2012, in Real Christianity and tagged Christianity, David, First Century Israel, Israelites, Judaism, Lord Jesus, Messiah, Real Christianity, religion, The Twelve Disciples. Bookmark the permalink. Leave a comment.